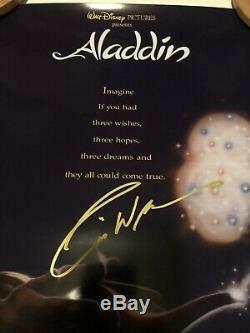 Disneys Aladdin autographed poster 11 By 17 - signed by the late Robin Williams, Scott Weinger and Linda Larkin. 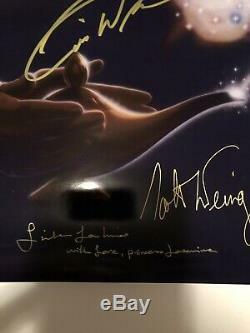 Signed by Robin Williams (Genie) Scott Weinger (Aladdin) and Linda Larkin (Jasmine). 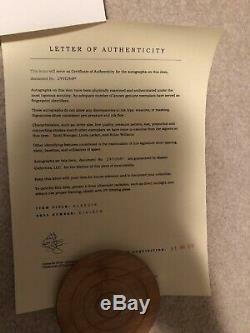 Comes with certificate of authenticity via world renowned Inferis LLC (Madrid, Spain). 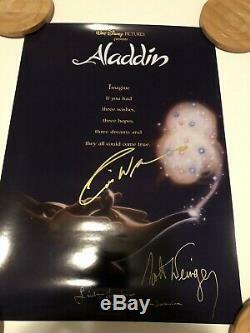 Disneys Aladdin autographed poster 11 X 17 ROBIN WILLIAMS + 2 More" is in sale since Sunday, February 10, 2019. 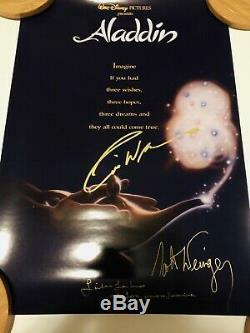 This item is in the category "Entertainment Memorabilia\Movie Memorabilia\Posters\Reproductions\2000-Now". 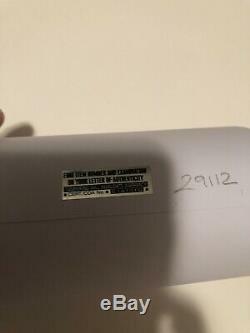 The seller is "jonas555360v" and is located in Hamburg, New York. This item can be shipped to United States.